As I watch my daughter, I realize that this is the way she lives naturally. It truly is our natural state of being. I came across an explanation of the Buddha’s core message that humankind suffers that made everything clearer by author Peter Russell in the article, Not Resisting Resistance. To paraphrase, Russell explains that when you translate the terms used by the Buddha in his native tongue, Pali, a more concise picture is painted. The Buddha spoke of “sukha” and “dukkha” when referring to the common state of the mind. The term “sukha” literally means “good axle hole”. It alluded to the need for a proper balanced axle hole in order for a wheel to turn with ease, without resistance, to give an easier and more pleasant journey. 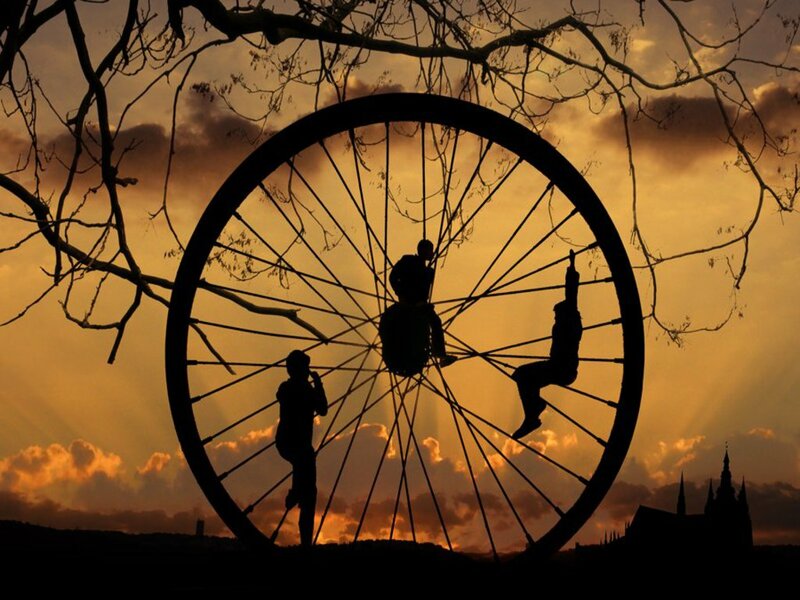 If the hole is out of kilter, the wheel doesn’t turn freely, meets resistance, and the ride becomes bumpy.